Georeferenced data table plots are posted on the map at the associated locations. The tables can quickly fill up the screen. Judicious selection of parameters, time ranges, and well names may help reduce the potential clutter. Reducing the text size will also reduce the size of the data table. 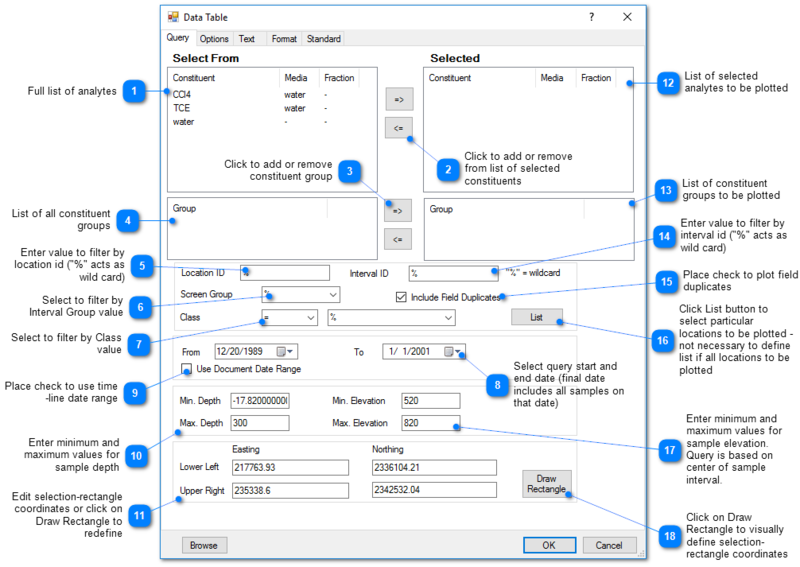 The posted data tables can be dragged with the mouse to eliminate overlapping tables. 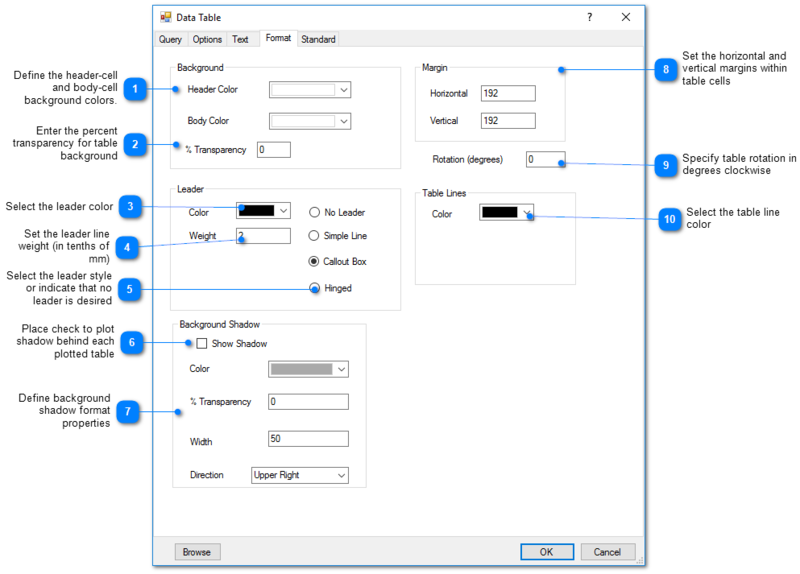 Click Plot> 2D Data from the main menu and select Table. 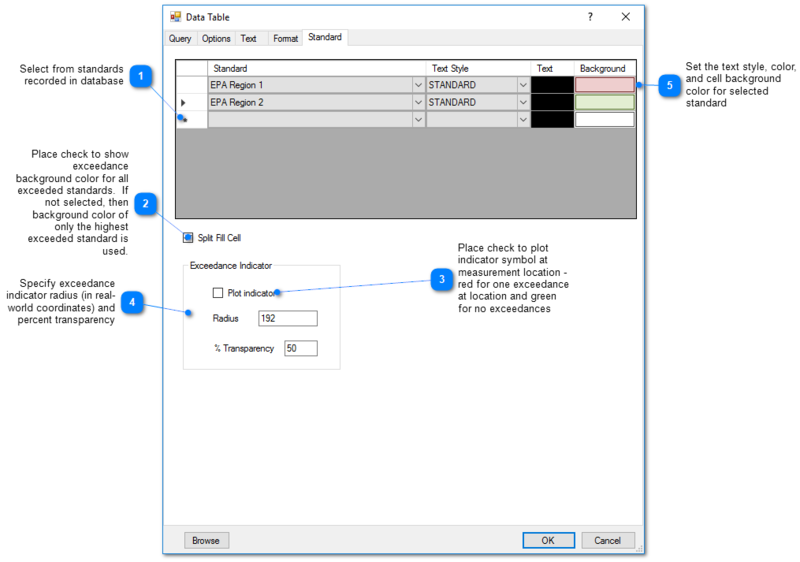 The Data Table dialog box opens. 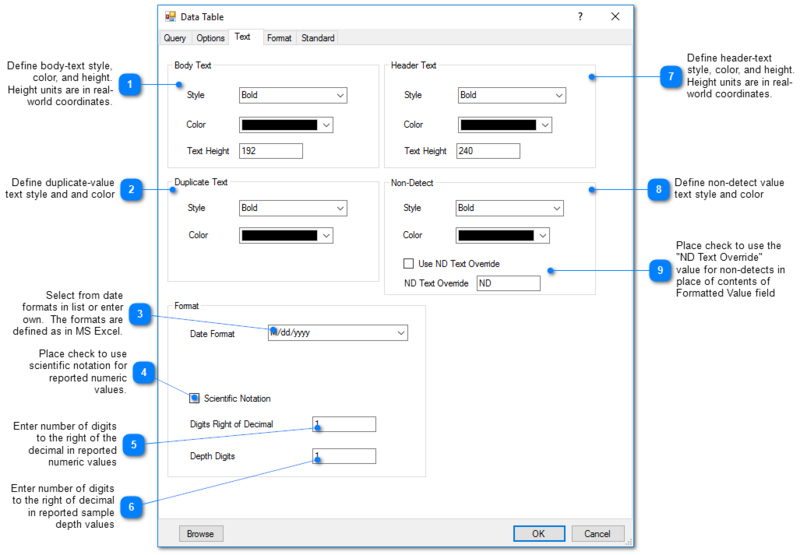 Modify the table properties on the Query tab, Options tab, Text tab, Format tab, Standard tab, and EQuIS Query tab as desired. Click the OK button to save changes.